When mold begins infesting your home, you can count on the mold removal High Point crew at 911 Restoration of Greensboro to provide you with the most thorough cleanup procedures in the industry. Our representatives stay available 24/7/365, making it easy for you to call us and schedule an appointment with our mold removal High Point unit. It is important to be aware of the full extent of the mold growth, because when traces are left behind, it can be detrimental to both the structure of your home and the health of everyone living inside of it. Call our mold removal High Point techs today and we will start the process immediately by providing you with a free visual mold inspection. It is not aesthetically pleasing when it is growing on the ceiling or walls, and we understand that you want your home to look beautiful, but there are other issues that mold brings with it that can be more serious than its effect on your home. Our mold removal High Point professionals want homeowners to be aware of the fact that breathing in mold spores can cause you to experience health issues, especially when it is not removed right away. Inhaling the particles and spores on a regular basis can cause you to experience symptoms such as wheezing, coughing, headaches, sneezing, itchy eyes, skin rashes, asthma and other respiratory issues. Our mold removal High Point experts have all the top of the line gear needed to thoroughly clean away any mold, fungus and mildew from the premises. You can trust that when we are finished with your home that it will be sanitized and disinfected. It is our duty to make sure that your living space is a a safe place for you and your family, so call us today! When our mold removal High Point team is called to remediate mold from a home, we gladly take on all the responsibility of fixing that situation. We are eager to prove our dedication to shown them we work hard to get your household back on track. You can be sure that we will not stop working until the home has been repaired to your standards. Our mold removal High Point staff will assist you with everything, from finding the mold, clearing away the substance, find the source of the growth, and removing all moisture from the household. 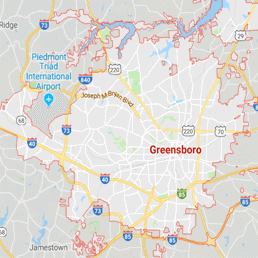 Making this whole situation as easy for you as possible is our goal, and we take that very seriously, so call our mold removal High Point operation at 911 Restoration of Greensboro today!